The components on the 1988 Fat Chance Wicked were all slightly beat up and in need of some refreshing. 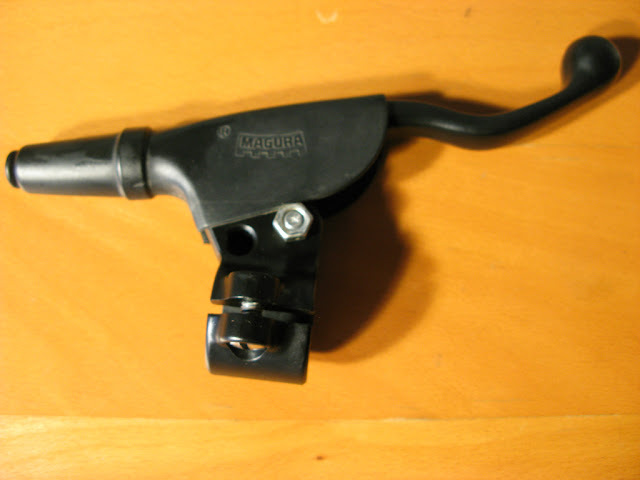 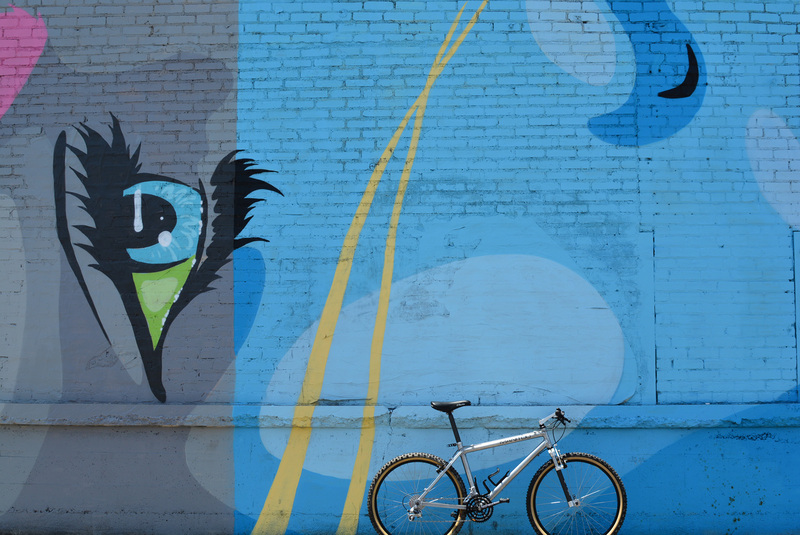 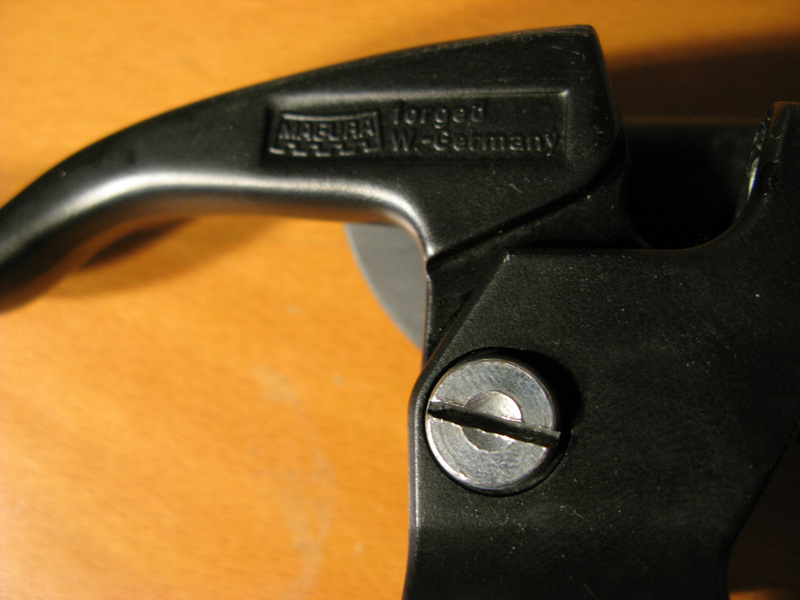 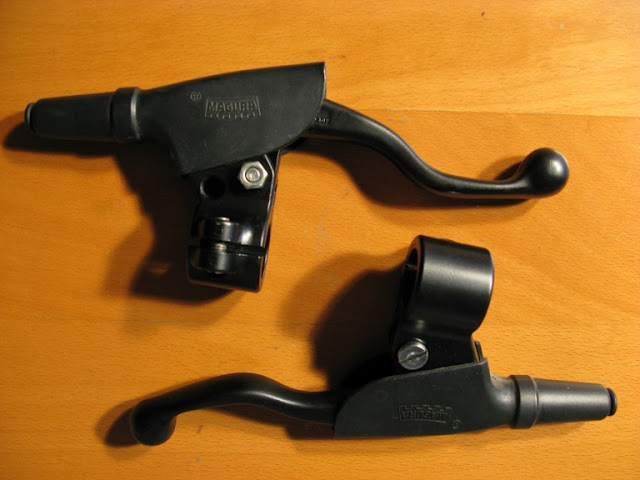 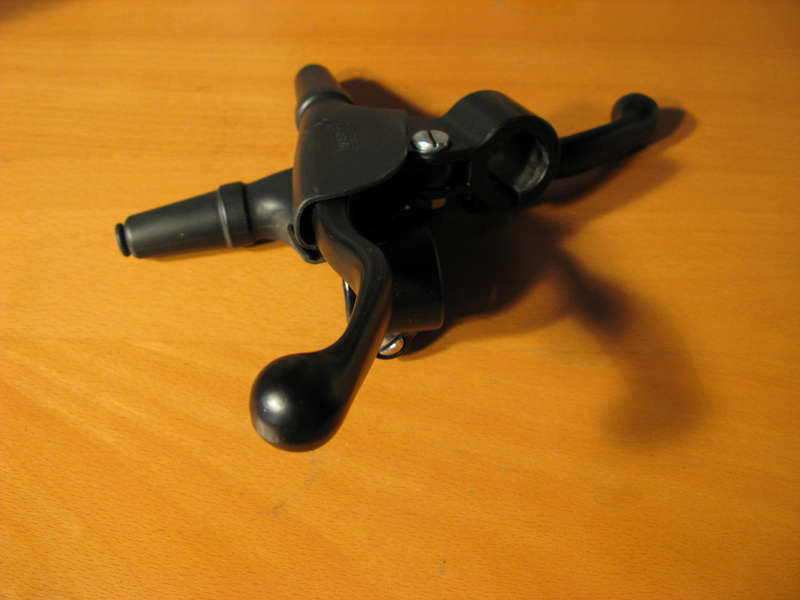 Here is a quick look at the refinished Magura brake levers. 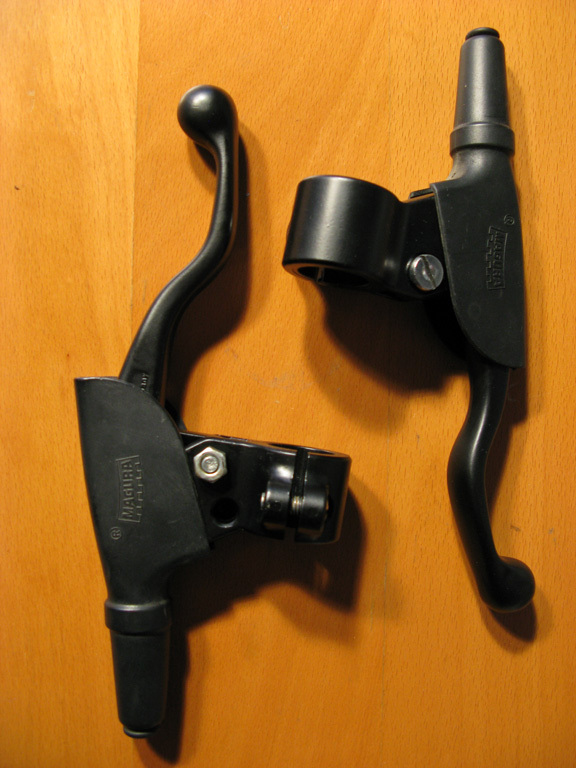 The levers were fully stripped of paint, all burs were sanded down and they 3 coats of black satin chassis coat were applied to create a durable finish that will hopefully last another 20+ years.